Most of us tend to take our body and body functions for granted. It is not until you experience pain or stiffness in a particular body part, that you start taking care of it. Walking is one activity that you do all the time. Yet, you are clueless about the different body parts that work in a concerted manner to make walking possible. Having a knowledge of the important body parts that are vital for walking is essential. It will help us in adopting practices that will maintain your body functions. Plantar fascia is a very important player in walking, running and jogging. It is the thick tissue, technically called a ligament, that cushions the underside of your feet. A large percentage of population experiences unbearable foot pain at some stage in their life. The reason could be anything, but the most common cause of this pain is inflammation of this tissue, a condition called fasciitis. Let us see how the little things do you contribute to development of foot pain. An understanding of how these things affect your feet is important for us so that you can take countermeasures in time. Gaining too much weight-Lifestyle changes over the years have led to a tremendous average weight gain in the human population. This excess weight exerts undue pressure on your feet and in turn, contributes towards pain in your feet. Therefore, it is vital to stay healthy and work towards getting rid of excess weight. Wrong footwear-A major cause of foot pain is one that we don’t even think about very seriously. Wearing ill-fitting or wrongly shaped footwear can do a lot of damage to the plantar fascia. In the long run, this manifests as extreme foot pain and inability to stand or walk. It should be kept in mind that footwear is meant to provide comfort and support to the feet, not to embellish them. Therefore, your footwear should come from reliable brands that are known to manufacture good quality products. Too much exertion-Foot injury resulting in plantar fasciitis can occur due to too much exercise or exertion. This is very common in professional sportspersons and athletes who train regularly. They should devote ample time to resting and recovery, otherwise the pain will become chronic and permanent. This is especially true for high impact training. Sedentary job profile-Many of us have jobs that involve extended periods of sitting in one place. Prolonged sitting has a direct relation to many ailments, and foot pain is among them. Therefore, people who are required to sit at one place for long hours should take a little break every half an hour and stretch their legs. They should also try to include a routine of walking in the evening to make up for their sedentary mornings. Other than the reasons mentioned above, foot pain can also happen due to unavoidable causes like old age and genetic defect. In these cases, the plantar fascia should be supported with cushioned soles inserted in footwear. 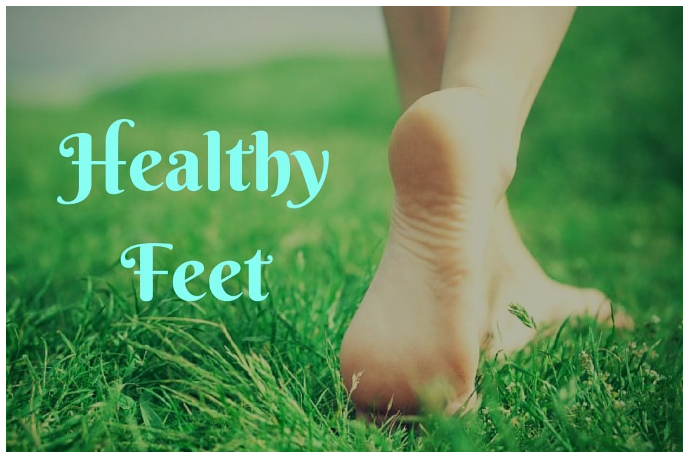 These simple habits will go a long way in ensuring healthy feet.